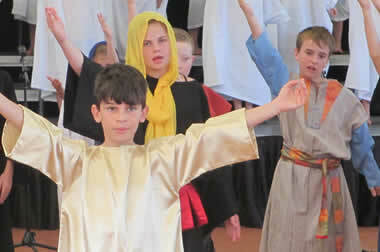 Matthew Gibney Catholic Primary School is committed to being a community where the values and teachings of Christ are reflected in our everyday actions. We are an inclusive community who recognises the worth of every individual regardless of background. In this school we work from our hearts with a deep concern for the value of others. Our pastoral care strives to ensure that each child feels valued and cared for as an individual. This culture extends to our entire school community. We offer a holistic education catering for the spiritual, academic, social and emotional needs of our children. We place a strong emphasis on identifying the needs of each child and on implementing effective programmes to support them. Our staff works collaboratively to ensure that each child has the opportunity to reach their true potential. In support of this, we foster positive relationships and involvement with all our families. As dedicated professionals we are open to continuous learning and we value the contribution of others to support our growth. Our staff are passionate about the education and wellbeing of our children. We pride ourselves on being a welcoming and hospitable community. We are approachable and willing to help each other at all times.